A team of committed experts are responsible for specialised wealth advice. Management and compliance are vital components of your financial wellbeing, but a solid plan is the key to building wealth and security. Our highly accessible team of specialised wealth experts assist you to identify where to best direct your resources, manage risk and plan for/implement growth strategies. We will guide you to smart investment choices and go the extra mile with you. Tailored plans and active portfolio management ensure that you are well supported to achieve your current requirements and your longer term gaols. Whether it's next year's school fees or holidays in retirement, our team will set you on the right path and ensure your strategy is professionally implemented and adapts as your requirements change. Protect what you work so hard to create and your future goals. Complementary to your investment and growth strategy is the protection of your current assets and your future plans. We understand that life/trauma insurance, income protection and the right Will, could be as important as having the right investment and superannuation structures. We access a network of professional experts in their field to achieve the best outcome for you. Don't let a personal injury/tragedy be even more devastating that it needs to be! How to best fund your goals and dreams. Without the right funding structure, you may not be able to move forward with your stated goals and dreams. We have an extensive network of lending professionals who can facilitate the right funding for you. Our ongoing knowledge of your business structures will assist you to make the right call, potentially saving you thousands of dollars. You can't take it with you, but you can ensure that loved ones gain maximum benefit from your hard work. Your wealth programme should comprise an element of estate planning so that all the effort you have made to create wealth in your lifetime is not diminished by poor planning. This can be a daunting process for some. With our straightforward approach, we can ensure that your business structures are correctly documented, loved ones are protected and will work to maximise the benefits to those you choose. 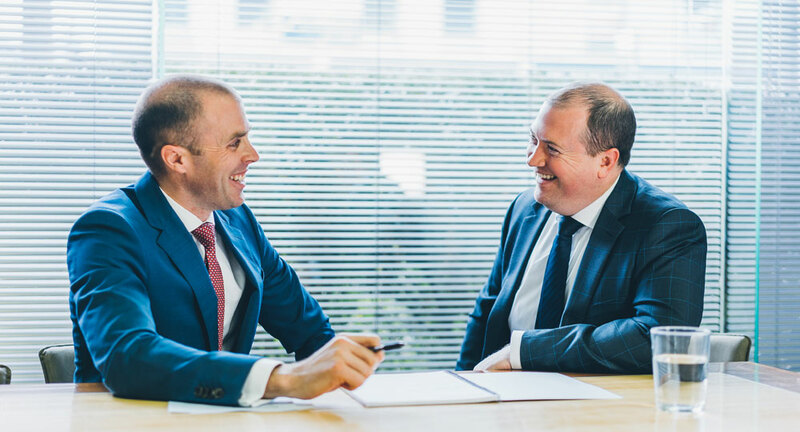 After working in the UK Ben returned to Australia to further his financial planning career and has been working as a strategic wealth advisor with the group for over eight years. Ben is a highly motivated individual who is passionate about his clients achieving financial security and freedom. He brings extensive expertise to Proctor Major Wealth and a track record of long lasting client relationships for whom he has helped achieve smarter wealth solutions at every stage of their lives. After 10 years in financial services, including five years working as an industry analyst in Europe, Luke returned to Australia in 2010 to financial advisory. Joining Partners Wealth Group in 2014, after four years with Equity Trustees, he provides holistic wealth management advice to individuals and families. Coming from an economics background Luke is adept at communicating complex financial concepts and educating clients about the benefits of proposed strategies to give them the confidence to pursue their financial goals.